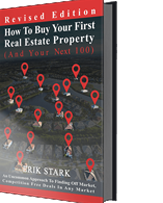 How To Achieve Breakthrough In Your Real Estate Business. In this podcast, we discuss the simple concept of Working a Strategy instead of Chasing Opportunity. The largest companies in the world work strategies until they are proven revenue streams that are then systematized and managed by innovative human bodies that exploit those strategies to their fullest. Follow along as we breakthrough your businesses KPI’s (key profit indicators) to build processes around your most profitable deals and then keep stacking them on to gradually grow your real estate business. Previous PostPrevious Staying Consistent and Persistent – The “ill Avoided” Truth About Success.